Salted Caramel. | Eat More Plants. This caramel is so easy to make, it should be illegal. I can eat this with just about anything! 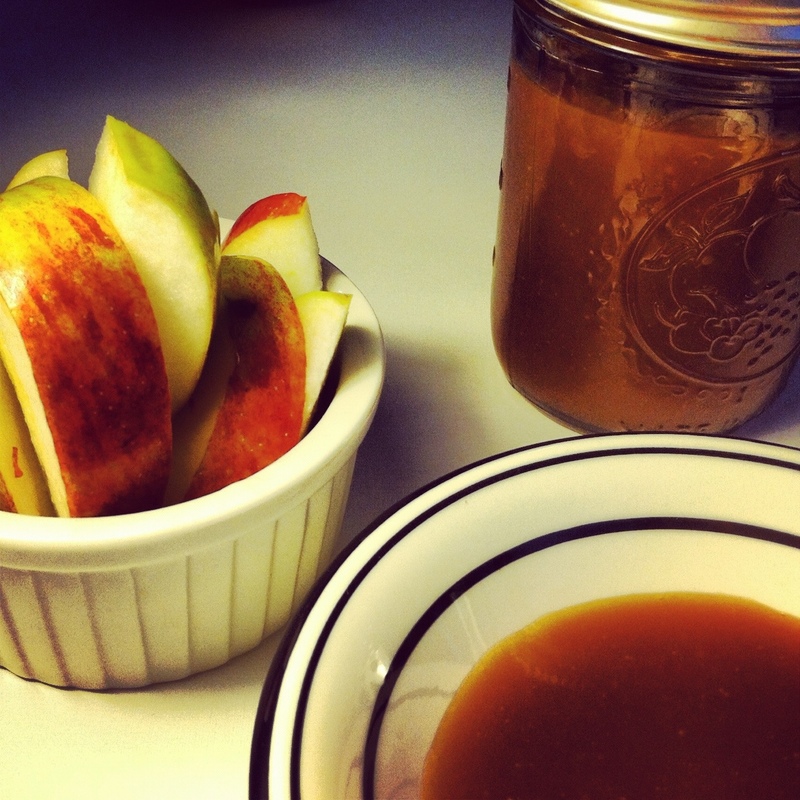 Especially now that it’s apple and pear season, I know I’ll be making this again. In a medium saucepan, combine the sugar, water and corn syrup. Bring to a boil. Use a wet pastry brush (or CLEAN & NEW paint brush if you don’t have a “pastry” brush) to wipe down the sides of the pan if they collect sugar crystals. Boil over moderate heat until the sugar turns light golden brown. There isn’t much room for error at this point, if you let it boil past golden it will burn quickly. Don’t feel bad if you burn it, I burned my first try too. Immediately remove from heat and stir in the remaining ingredients. Let the sauce sit for an hour (if it makes it that long before somebody comes and eats a spoonful) and it will last refrigerated for 2 weeks. You can heat it when ready to use it again.